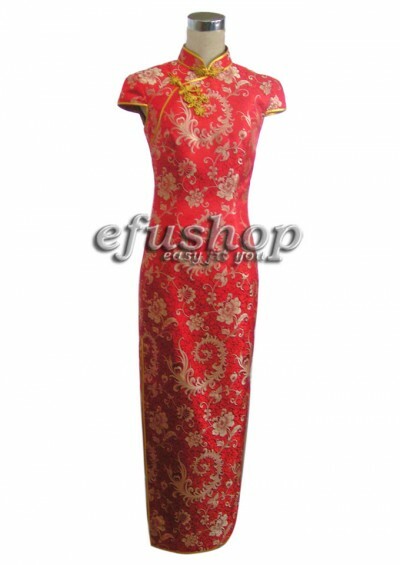 Red silk brocade cheongsam dress. Mandarin collar, cap sleeves. Single piping, big floral buttons. Ankle length. Double slits. Elegant qipao dress.